It’s only Tuesday, but I am looking ahead to Thanksgiving on Thursday, my favorite holiday! Being with family and friends to celebrate and be thankful for all that we have seems like the best kind of day. Tomorrow we bake pies (lots) and Thursday we have very traditional turkey, mashed potatoes and gravy, and cranberry sauce. It’s our stay-at-home holiday, and not traveling –especially this year, with predictions of bad weather for Wednesday– make it a leisurely day. A long walk after dinner, and maybe a game of Scrabble or Seven Wonders as night falls. “The coming of a New England winter reminds us once again that poor Rhode Islanders face a tougher time than the better-off. So once again it is time for us to search those closets for old winter coats to donate to the annual Rhode Island Buy Nothing Day Winter Coat Exchange. The brainchild of community activist and environmentalist Greg Gerritt, the coat exchange will be held on the Black Friday shopping day, the day after Thanksgiving. The main site will be at the founding location, on the State House lawn in Providence, which is located in the shadow of both the Independent Man and the Providence Place Mall. From the URI Botanical Gardens and your grateful gardener, I wish you Safe Travels and a Happy Thanksgiving with those you love! This entry was posted in Botanical Gardens, Holidays and tagged buy nothing day, thanksgiving, winter on November 25, 2014 by uribg. Thanksgiving, as I mentioned in last year’s end-of-November post, is my favorite holiday. What is could be better than a holiday especially for getting together with family and friends, just to be thankful for, and to celebrate, all the wonderful things in your life? Nothing better! Therefore, I’m not at the greenhouse today, I am home baking pies. Although our Thursday tradition is just the five of us and Grandpa, we go all-out on the pies. As one of my favorite little kid’s storybooks says, “There was nothing but pie, but there was all nine kinds of pie that Harold liked best”. 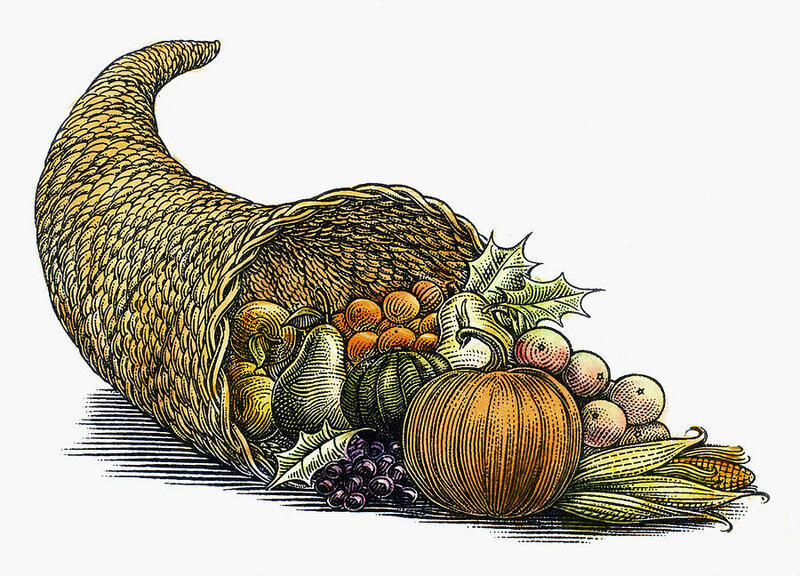 I hope that love, family, friends, and neighbors, continue to be the focus of our celebrations…Happy Thanksgiving, from the URI Botanical Gardens and your grateful gardener. This entry was posted in Botanical Gardens, Greenhouse, Uncategorized and tagged buy nothing day, gratitude, holidays, pie, thanksgiving on November 27, 2013 by uribg. What: 16th Annual Buy Nothing Day/Winter Coat Exchange. When: 10 a.m.-2 p.m. unless otherwise noted. Where: Several locations around Rhode Island. About: On the busiest day on the American retail calendar, thousands of activists and concerned citizens in 65 countries will take a 24-hour consumer detox as part of the annual Buy Nothing Day, a global phenomenon that originated in Vancouver. Events are held at five locations in Rhode Island. If you have a coat to give, please drop it off. If you need a coat, please pick one up. Volunteers are needed. • Statehouse lawn (directly across from Providence Place Mall). Rain/snow site: Gloria Dei Lutheran Church, 15 Hayes St., Providence. • Blackstone Valley Visitors Center, 175 Main St., Pawtucket. • St. Paul’s Church, 12 West Marlborough St., Newport, 10 a.m.-noon. • St. Francis of Assisi Church, 114 High St., Wakefield, 10 a.m.-noon. • Kent County YMCA 900 Centerville Road, Warwick 9 a.m.-noon. In the age of Wall St crashing the economy and climate change, we have raised overconsumption to an art form that is tearing apart the ecosystems of the planet and our communities. 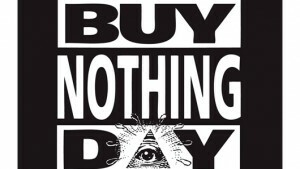 To remind us of the madness many years ago people started celebrating Buy Nothing Day to protest basing our society on consumerism. This year for the 16th year people in Rhode island will gather to collect winter coats from those who no longer need them, and distribute them to Rhode Islanders who can use them. Over the years we have grown to 9 sites and hundreds of volunteers (thanks to the YMCA for adding a number of sites to the network this year) that collect and give away winter coats instead of heading to the malls, We are sending a message of rethinking consumerism while actively providing a resource for our communities. Anyone who can donate a coat is asked to donate a coat. Anyone who needs a coat is invited to come get a coat. Visit prosperityforri.com/2012-bnd-sites/ for the sites near you. Happy Thanksgiving from the URI Botanical Gardens and your grateful gardener. This entry was posted in Botanical Gardens and tagged buy nothing, thanksgiving, winter coats on November 21, 2012 by uribg.